Happy Birthday Charlie! Many many more! Charlie seems the type who enjoys laughing at his own humor more than laughing at himself, but that’s true for most of us. Laughing at him laughing at his own joke. Such a fun pic. You know, it always amazes me that Charlie can look majestic, gorgeous, goofy and occasionally silly, all at once. Hehe. he can’t believe he’s another yr. older and neither can Shreve! A million cyber hugs sent your way Shreve!!! 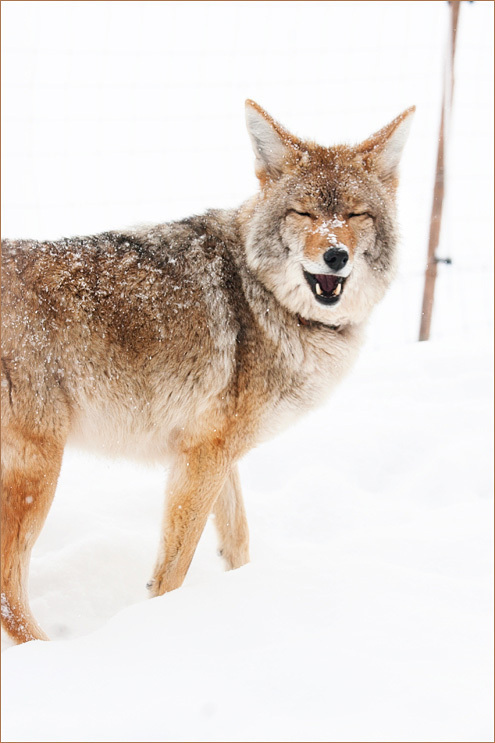 Oh Charlie, you Trickster… I have recently been pulling/reading the Medicine Cards~ coyote has just come up for me, and I am so very much the trickster, too! Very funny. The caption is perfect. Funny, sweet, mirthful Charlie. I love him too.